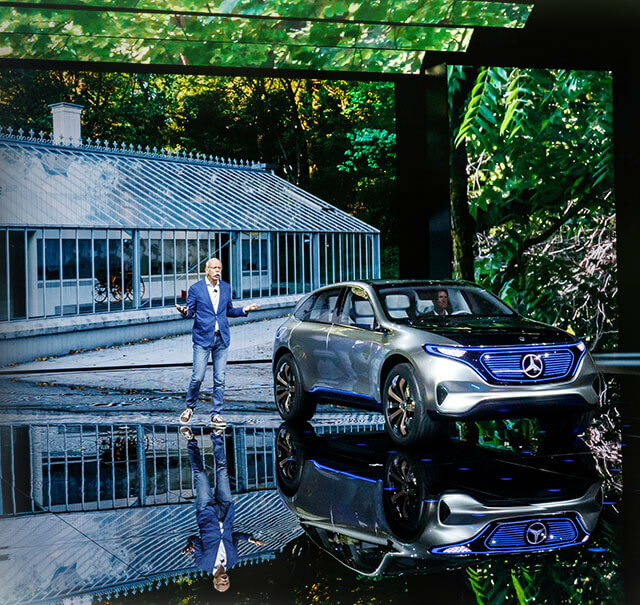 The defining image of the Paris Motor Show 2016, and one that marked the onset of a new era, was the Daimler CEO Dieter Zetsche, casually dressed in jeans and sneakers, presenting the Mercedes-Benz electric sub-brand EQ. EQ stands for “electric intelligence”. 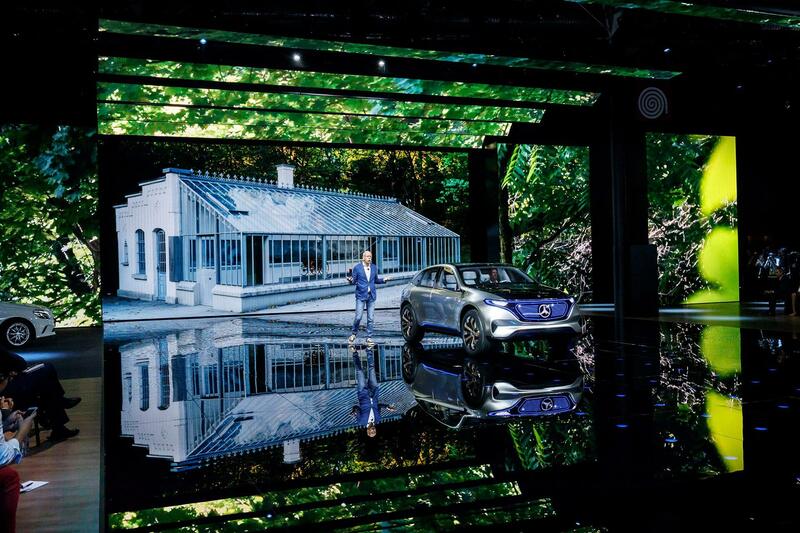 It is the sub-brand adopted by Mercedes-Benz for its entire offering of future electric mobility. 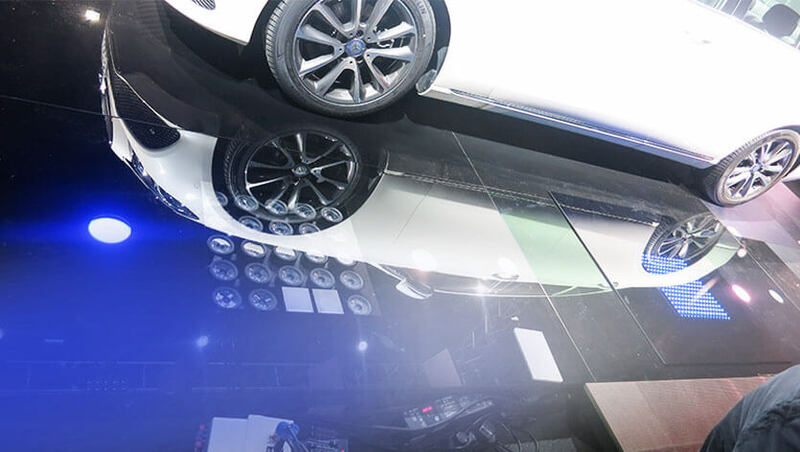 The range of the company’s intelligent “eco-system” is to extend from electric cars to wallboxes, charging services and home energy accumulators. 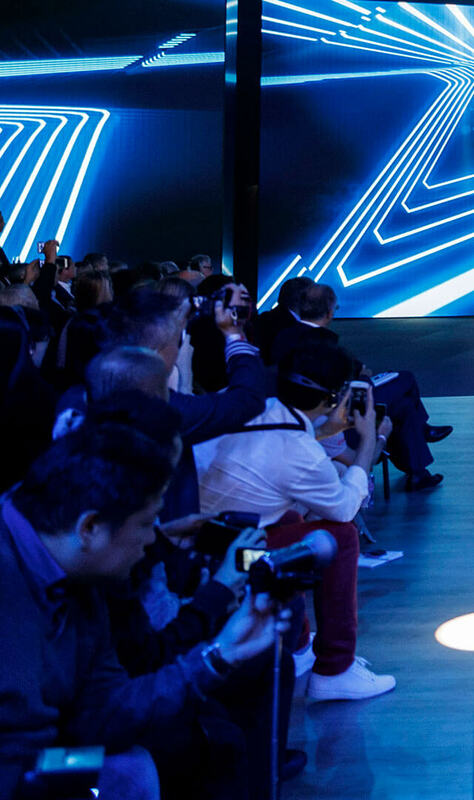 In Paris Dieter Zetsche unveiled the forerunner of the new mobility era in the shape of the Generation EQ Concept with battery-powered electric drive and the look of an SUV sports coupé. 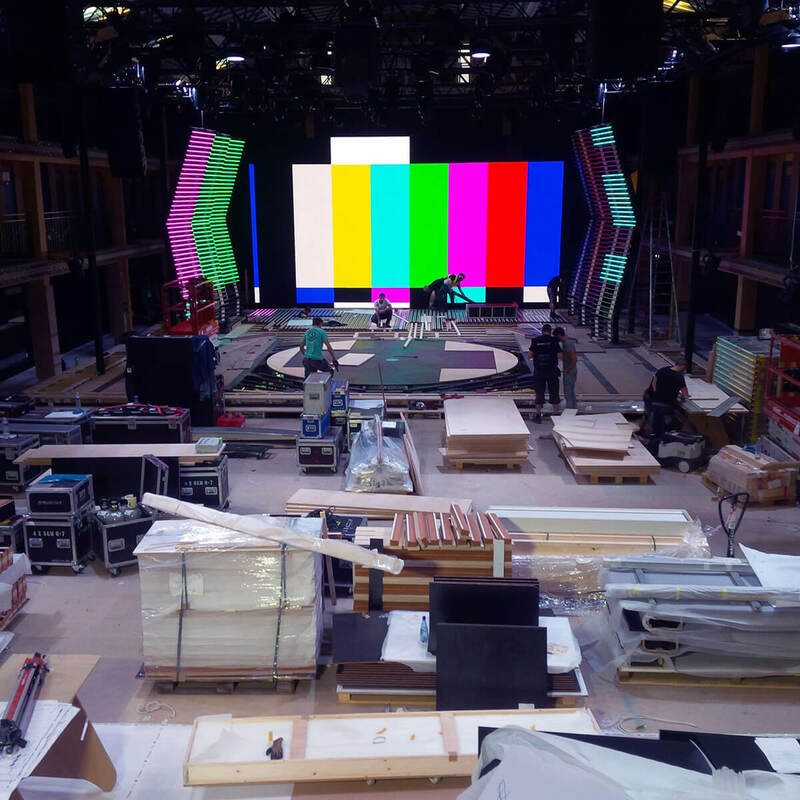 Before ultimately delivering an entertaining, compelling and visually exciting presentation of this future world at the press conference, the OSK motion design team created dozens of motion charts, animations, films and virtual stage sets. 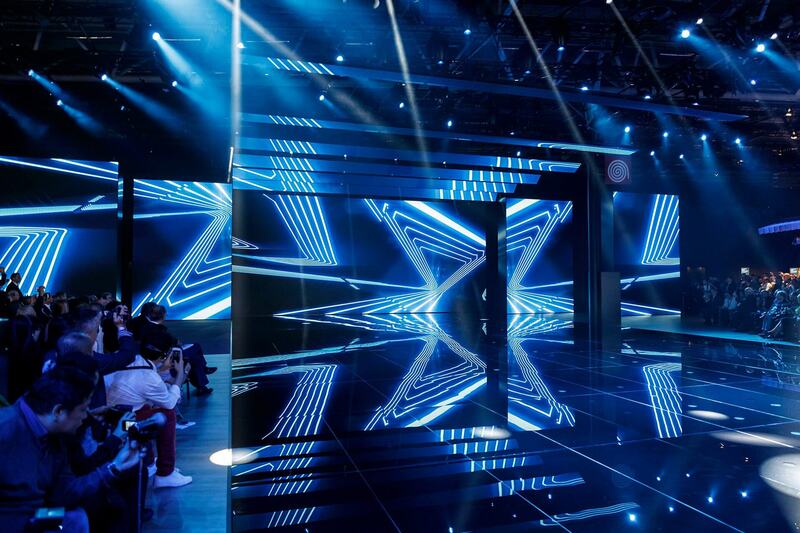 The booth design originated by Jangled Nerves provided a brilliant visual platform – the stage floor was made entirely of glass, which reflected all the visual pictures and effects, thus creating an especially captivating effect. Elaborate simulation of the visual effects before the show ensured that photographers would capture perfect images from all angles. 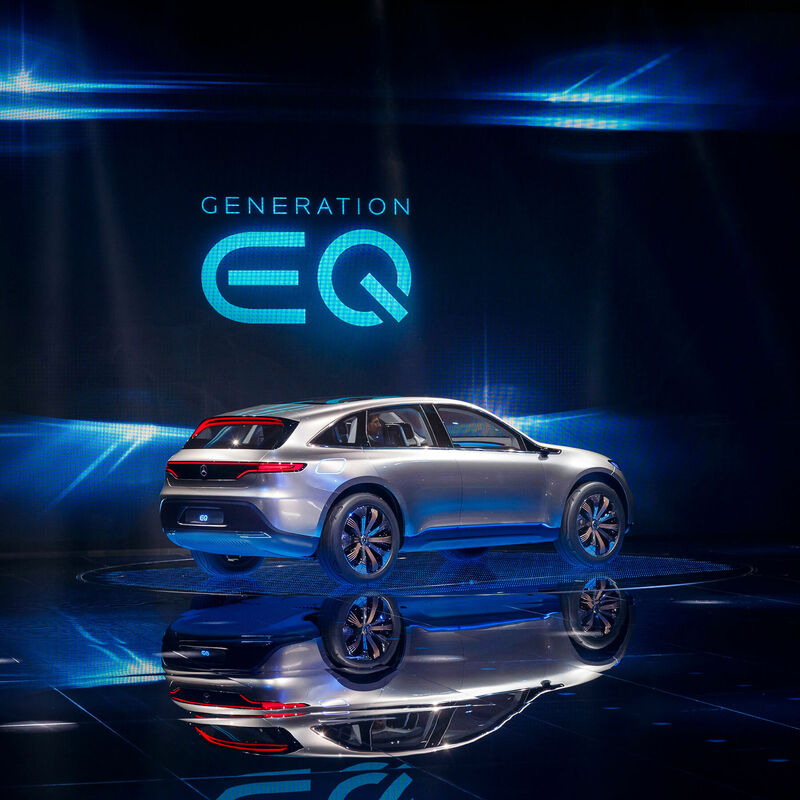 The result: the EQ provided the defining image of the auto industry entering the new age of electric mobility, and Mercedes generated a stronger global media response than any other marque.